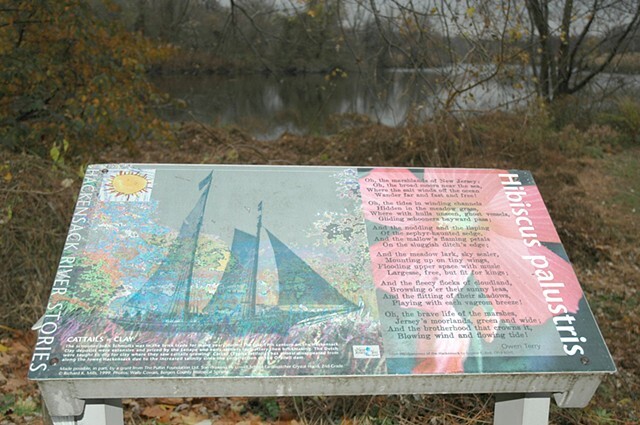 This sign work contains poetry, students art, images and local botanical information. Installed next to stand of native Hibiscus. Brett Park section of Hackensack River Greenway.